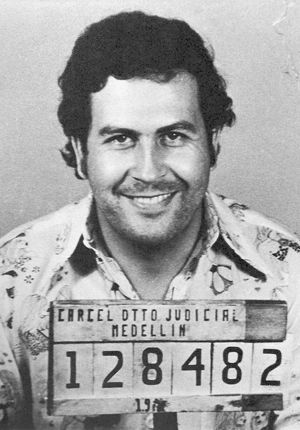 Pablo Escobar, the famous Colombian druglord, burned a cash of 1.2 million pounds to keep his daughter warm at night. The strangest thing is that he burned the entire amount on a single night itself! If you know about the druglords in the market, you may have surely heard the name of this man! He has always been in the limelight for the kinds of things he had been into, but this news was never heard before. According to Sebastian Marroqumn, popularly known by his former name Juan Escobar, his father was extremely fond of his daughter, since she was a Princess to him. When he realized that Manuela suffered from hypothermia and needed warmth, he burnt all the notes together to help her survive through the night. This is not the only thing that he did – the entire family contributed to use this fire to prepare their meal! After the death of his father, the druglord, Sebastian moved to another location with his entire family. This time, he shifted to Argentina, where he and his family could survive peacefully and away from the rush of media. However, the Colombian magazine named Don Juan interviewed him, in which he revealed this shocking news to everybody. When Sebastian lost his father, his life was not very easy. There are a lot of things mentioned in the magazine, which must be read by all those, who think that the life of such famous personalities is quite easy. To be honest, they have to go through a lot of problems to be away from the media and the fuss that the cops created for them. In fact, their life is full of risks and dangers!